At the Long Island Academy of Fine Art, students have the unique opportunity to learn classical techniques rarely available to students, starting as young as 3rd grade. A teacher instructs a student at The Long Island Academy of Fine Art. Glen Cove, NY - June 8, 2016 - At the Long Island Academy of Fine Art, students have the unique opportunity to learn classical techniques rarely available to students, starting as young as 3rd grade. Teenagers are invited to either enroll for the summer session (June 27-September 4), or create a customized program that suits their individual interests and needs. In the Young Artist Summer Program, every week students work on projects that improve drawing and painting skills and expose them to a variety of 2D media. In addition, each week focuses on a different theme, listed below, that allows students to delve into art forms and materials with art professionals who come to share their particular area of expertise in paper arts, traditional sculpture, character design, and others. 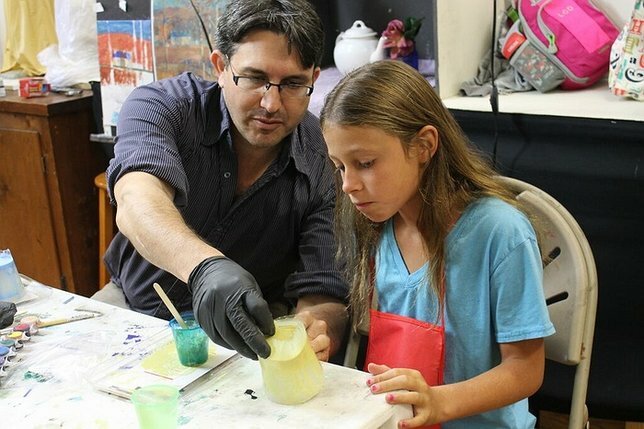 The Young Artist Summer Program, runs in weekly options July 5 through August 19. The camp is open to students entering 4th-7th grades, and it runs Monday through Friday, 9:30am to 3pm. Each camp session is limited to 8 students. Discounts are available for registrations of two or more weeks and for siblings who register together. The cost per 5-day week is $495, and materials are provided. "Characters" weeks are $525 due to higher materials costs. A young girl makes a small sculpture at LIAFA. Functionality meets creativity in this camp. We will explore various methods of printmaking, as well as paper-making, book-binding, box-making, and even creating original art lamps. Some aspects of paper arts allow students to freely experiment, while for other projects precision and patience are key. Portraiture has had a significant place in cultures from the beginning of art history. In these sessions, projects focus on who we are in the flesh, and the many ways artists depict their fellow men and women. The most drawing-intensive of our camps, students will sculpt (“draw in space”) from plaster casts, experience life drawing, and even investigate creative portraiture using photography. Students have an extraordinary opportunity to explore character design, toy-making, life casting, and more. We will guide students through the sophisticated process of bringing a 2D idea into 3D reality. In this session, science is a big player in the creative process. A light-hearted week of enjoying the animal kingdom as a subject in art-making. 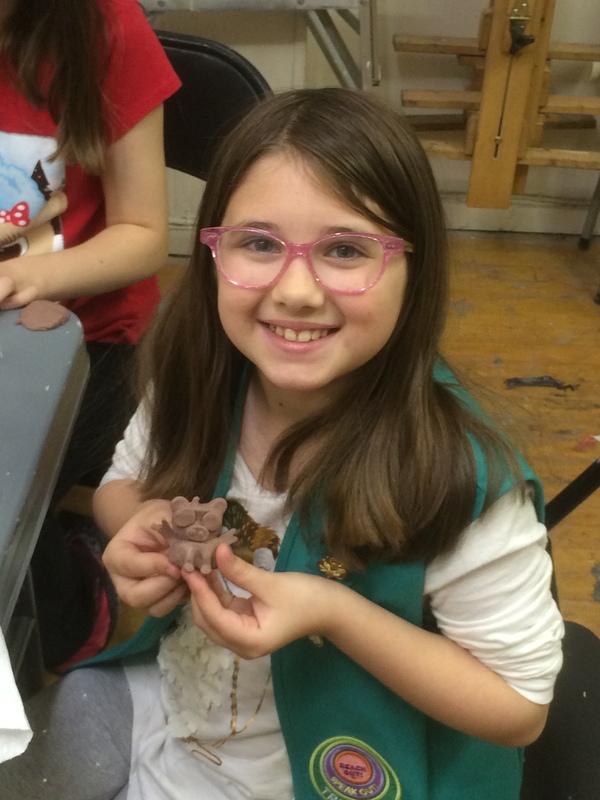 From reality to imagination and across mediums, students improve their drawing, sculpting, and creative thinking skills by celebrating and immortalizing furry-or slimy-creatures and critters. The Long Island Academy of Fine Art is dedicated to the advancement of classical art for students of all ages and experience levels. LIAFA also offers adult classes and a High School Portfolio Development program. Visit www.liafa.com or call 516-590-4324 for more information, and click here for specific information in regards to our Young Artist Summer Program. LongIsland.com's 2016 June Family Fun Guide: Celebrate The Arrival of Summer with Family Festivals, Live Music, & Father's Day Fun! Subject: LongIsland.com - Your Name sent you Article details of "Tradition and Exploration--Young Artist Summer Program at the Long Island Academy of Fine Art"